I am Sumayyah Franklin. I wear many hats. Doula, teacher, artist, dancer, fashionista, thrifter, comedian, thinker, but mostly I am a student. I know for a fact I was put on this earth to learn.To break boundaries and pave new paths by not being afraid to unlearn old ways and make room for innovation. The medium I am called to do this through is the sacred art of Midwifery. A midwife is someone who is trained in skills that provide her with the expertise in assisting a woman throughout her pregnancy including the delivery and postpartum period. This is only the skeleton however because midwives also provide care in ways that help maintain optimal health including paps, STD/STI screening and testing, and at home inseminations to name a few. The midwife is a traditional practitioner who provides care to woman and infants. I am choosing to enroll into the National College of Midwifery. This is the most cost effective institution as well as supports me in completing the apprenticeship model of studying midwifery. 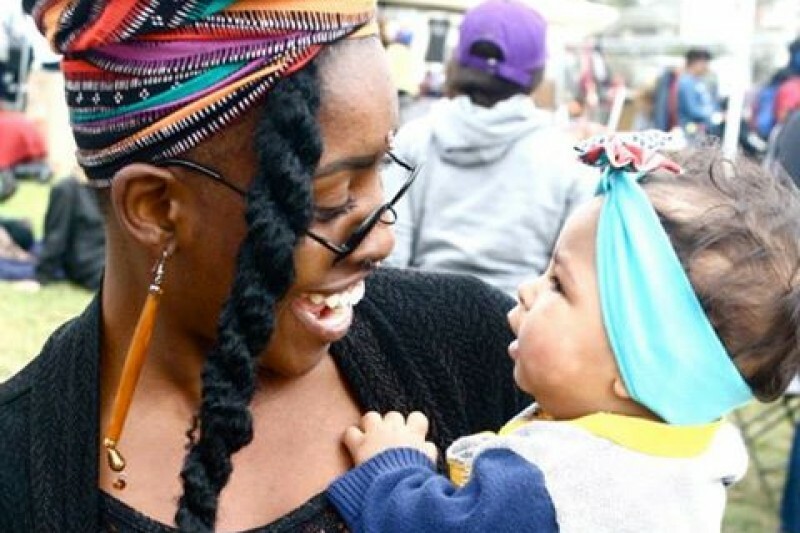 There is a disproportinate number of licensed Black midwives offering care in California compared to white midwives.It is important that we have care providers who are competent and reflect the population(s) that they are serving. Black Infants and birthing people have the worst birthing outcomes in America--More than double that of their white counterparts. I am committed to improving these outcomes by making the midwifery model of care accessible to populations who otherwise would not be able to access it. The National College of Midwifery is a distance learning program based in New Mexico. This school is accredited by the Midwifery Education Accreditation Council ( MEAC) and therefore allows me to gain licensure once I complete the program. Once i am enrolled into shooI I may then be able to continue my dream of becoming a midwife by seeking to work with some veteran and skilled midwives. This will give me the opportunity to learn from a skilled midwife, experience volume ( which creates a skilled midwife), and to work with a diverse population. At the National College of Midwifery there is one flat fee of $5,000. Books are an estimated $2,000. I will be offering a community doula training as a way to raise the additional funds. I am eternally grateful for so many of you giving from your hearts! For all of those who have donated a gift of $100 or more please email me your mailing address. I will be mailing you all a DVD of the beautiful documentary "catching babies" along with a poster with original art work by a wonderful midwife and friend of mine Andrea Ruizquez. Please consider sharing this campaign within your networks far and wide!!! Woot Woott I am soooooo pleased to announce the first incentive that has JUST been added to my campaign!! Level 2 will be added ASAP!!!! BUT I would like to announce the first level as it is now finalized!!! ALSO I now have my Doula Manual available for sale to the public for a limited time offer of only $75. And as an added bonus i have included my exclusive "self care packet for birth workers" and "the doula do's and donut's" packets! For interest in the doula manual please contact me at sumistouch@gmail.com for payment and shipping information. I want to extend a HUGE thank you to EVERYONE who has supported me thus far in my journey. Each penny gets me a step closer to enrolling into school. I need to be enrolled by OCTOBER 5Th!!! That is a day shy of SIX weeks as of today!!!! I am working HARD to save as much as possible. EVERY penny is going towards me enrolling into school before this deadline!!! Super Grateful for a lllll the ways that i have been and continue to be supported on this journey!! Thank You Thank You Thank You to everyone who have donated and shared so far to this campaign!!!! May you shine your light and share your gifts with many more mamas!!! Your Love Shines Light, God!